Halo Infinite was announced and teased at E3 2018. 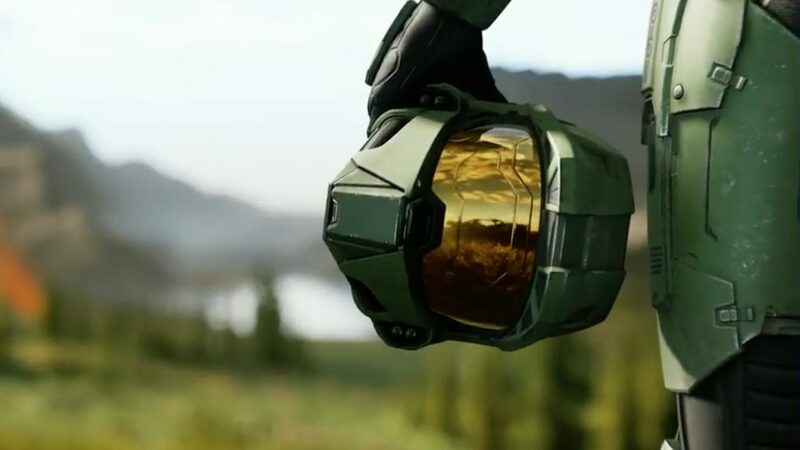 Halo Infinite is the latest major Halo game developed by 343 Industries and man are we at X35 Earthwalker excited. Now very little information, in fact minimum information has been given but that doesn’t mean we don’t know anything. Let’s take a look. Many fans are excited. The flagship of Xbox is here and there’s not a single thing Playstation or anyone can do about it. Now this blog post will be mostly on using what we know to come up with ideas and theories of what is going on because we just got a teaser trailer but it already rises up questions and theories from gamers already. First of all, check out the trailer down below before reading the rest of this blog. Okay, now straight away we know that the story will be based back on Master Chief again, as it should be, after all everyone loves the Chief. 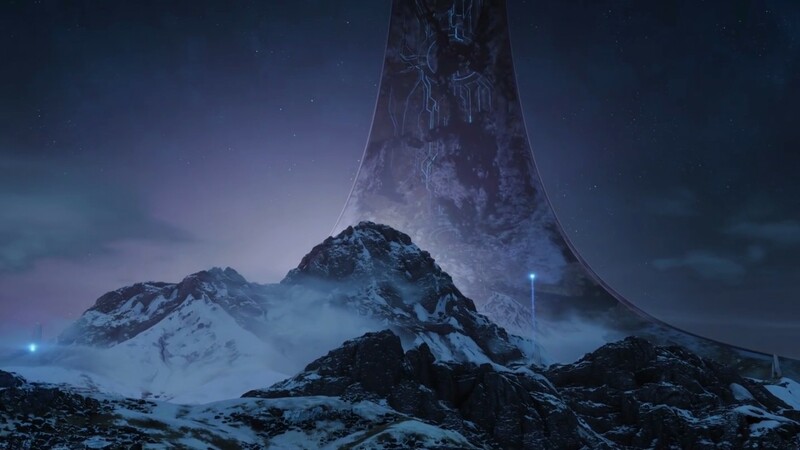 The main action will take place on a Halo ring which has many different environments ranging from ice mountains and forest to sandy deserts and what looks like a savannah. Pay attention as all this links together. 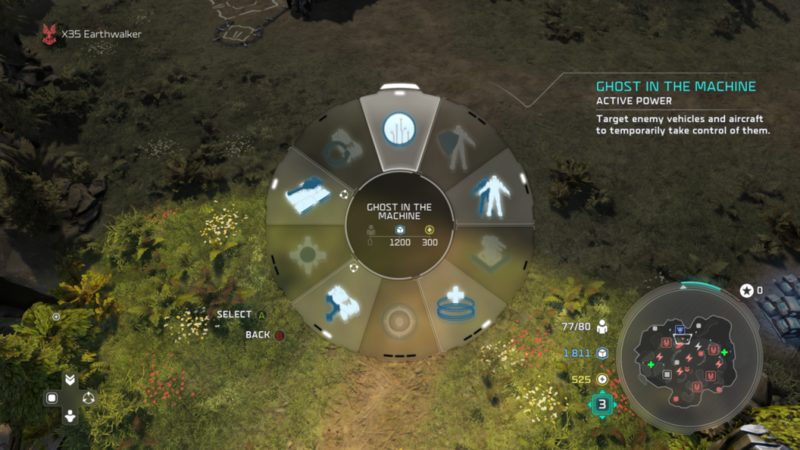 We spot some wild animals like some hench deers and even rhinos showing this Halo ring is alive and wildlife will be a factor in this game which is awesome. We also know that vehicles and travelling will be a part of the game because of the warthog vehicle that was having a nice cruise through the area. Off course we know that Halo Infinite will has a new art style. 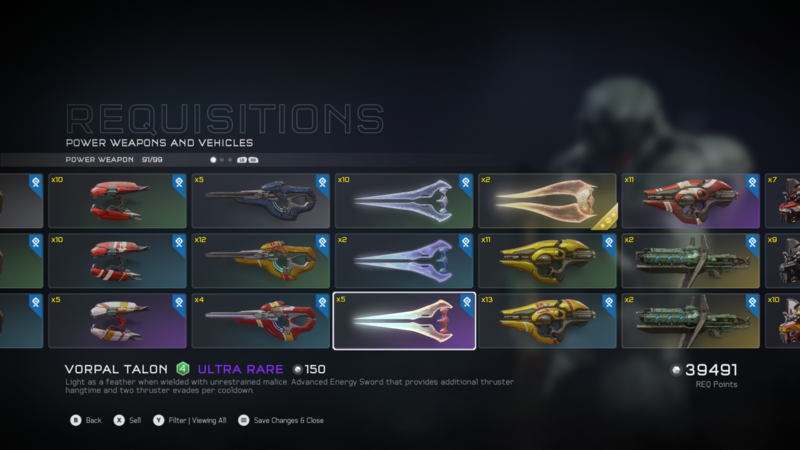 The developers 343 Industries made that clear and that’s thanks to their new engine called ‘SlipSpace’ which is something they have been working on parallel with all the post release content for Halo 5 Guardians. What we just mentioned isn’t everything from the trailer but let’s start making some connections. 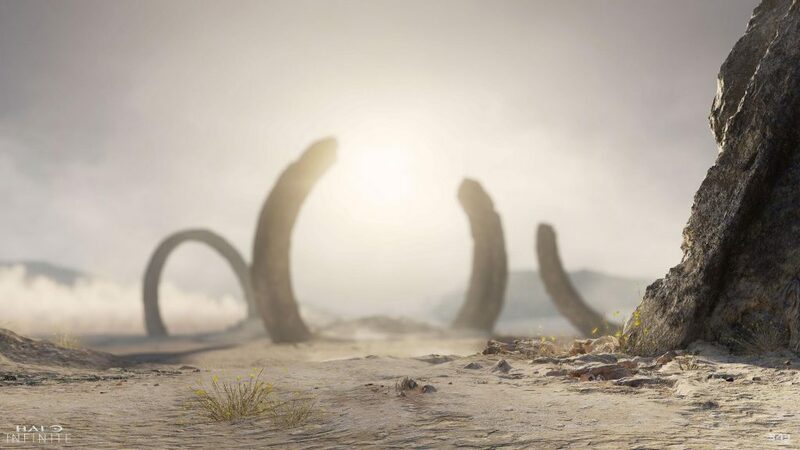 We at X35 Earthwalker believe that Halo Infinite is going to be an open world game. Doesn’t sound that crazy, does it? There’s no better game to be open world than Halo. Look at the Halo universe with many alien species with alien names, their own history, background, wars and more. A large Halo ring planet will have enough room to hold all of them. We can tell this because of the different environments shown in the trailer. There could be underground areas which will bring back the drones from Halo 2. We hope they bring them back a that will be a unpleasant surprise. The Warthog acted as a main form of transportation there which suggests that the Master Chief will have to explore these different environments by traveling, both In vehicle and on foot. Imagine how awesome it would be if drove up to a ruins to investigate but a predator animal comes out of nowhere like a tiger and the Master Chief punches it in the face and then finishes it off with the assault rifle. The flood. Think about it. Like with the other Halo ring planets, the flood have always been present there, either contained or hiding sort of. It could be like Terraria where if the flood is released they will slowly spread and take over the planet, meaning she areas will become flood territory. maybe there will be a planetary display systems that shows the state of the whole ring maybe. If so there is opportunities for global random events where maybe an over powered covenant team shows up to do some scouting for digging and it’s up to players if they want to take on that team. There even could be covenant outposts of different strengths and defensive capabilities that grants big rewards for overtaking. The possibilities are infinite… well maybe not infinite… but a game as big as Halo has so much potential with a game like this. 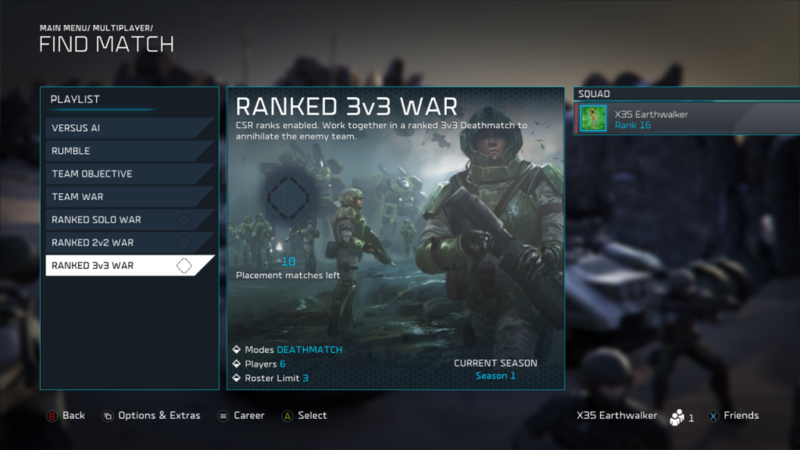 Halo Wars 2 has been getting quite a lot of updates, patches and new content and that is great to see. Why? Well it does show that the developers do care about what’s happening with their game. Some new character leaders initially were too powerful and needed to be toned down. The developers fixed that. They brought out new characters who like Serina brings in new layers to the game like the freezing mechanic. This shakes things up and keep players thinking. Now we have a large DLC coming our way which will bring in… the Flood. Oh dear. This is both exciting and bad at the same time. Exciting because it’s an old enemy coming back but bad because anyone who played Halo 1 (we know it’s called combat evolved but we call it halo 1) knows what a horrible enemy the flood are. There are many great things but some big issues as well. We love Serina as the whole ice thing is really cool and like we said adds another layer to the game. For example you now have to think about how to handle her if she is your opponent. You can’t stay around her hero unit for too long or risk being frozen. The Frostravens are there to freeze and destroy frozen units easily and her abilities on top of that makes it almost too risky to approach her. When you are her though you get to decide how you will toy with your enemies. Charge at them and then drop ice barriers around and behind them to start the freezing. Drop Cryo bombs to instant freeze and make troops panic with glacial storm. Then finish them off with Seismic charge. It’s cruel. Spear breaker was an interesting mission that was of a nice length and offer some cool combat. You got to control a special ODST squad which have a lot of health and each member carries different weapons, from some laser type gun to rocket launchers. They have access to a emp ordnance support drop. This unit would be OP in multiplayer as it is. Fun to play with. The Retriever sentinel bosses were real bosses but most specifically the last one as it had moments when other sentinels made it invulnerable and healed it. It’s health was higher than normal and did more damage we believe. It’s worth playing but that’s all, the story wasn’t interesting at all. The main bad thing and this is what put us of off online multiplayer is that the matches are now all about rushing. Rushing with hero units. Now YapYap and Serina are the two worst at the moment. Serina’a hero unit the ‘Bison’ has good health and tanks all the damage while sitting there freezing your units and buildings, while their units are attacking from behind. Now if you don’t have your hero unit then there is nothing you can really do. Really. So it becomes a game of getting your hero units out first whether for attack or defend. What’s worst is that not all hero units are made equal. 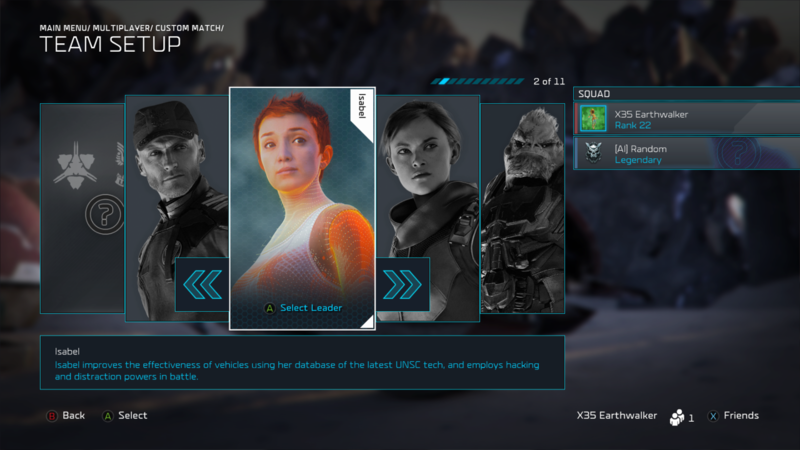 For example if you have one of the original three UNSC characters leader’s heroes: The spartans, then they will die to Jerome’s mantis, Serina’s Bison or YapYap’s three grunt mechs. It isn’t fair. They are weaker. It’s almost like saying don’t bother with the original three. Almost every match has been like this. It’s not fun. So we stopped playing online. Halo Wars 2 latest new content brought a new character leader with it. Serina is here! 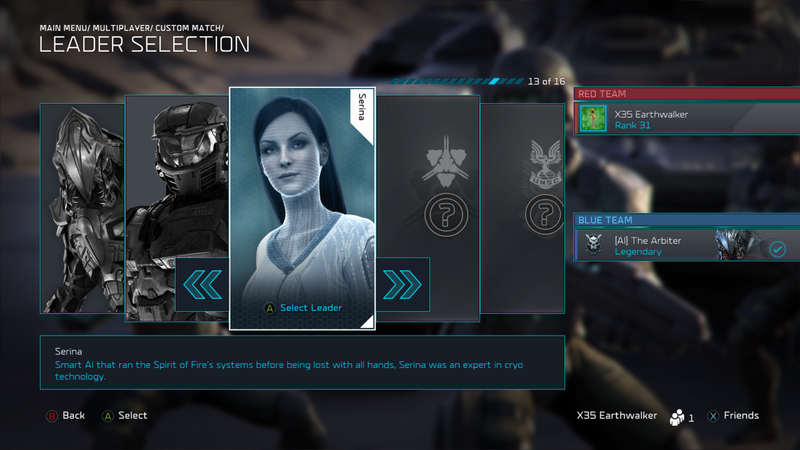 She is the AI from Halo Wars 1 but here… she is an ice AI. That’s right, she just might be a bit too… cool (We see you laughing). When we first knew that it was Serina we only wondered what she would bring to the game. Maybe a new concept or just crazy abilities. She brought both! She also has new units as well. These new units are Cryo troopers, Frost ravens and the hero unit Bison. All three are capable of freezing enemy units. How this works is that as they attack the enemy a meter appears under their health and it fills up. When that meter gets full, that enemy unit is frozen and cannot attack or move. If you shatter a frozen unit though, they will take a large amount of extra damage. This applies for both enemy units and structures. Now Cryo Troopers are exactly the same as Hell bringers but instead shoot ice. They are good against infantry and structures. Frost ravens are basically ice nightingales that don’t heal but shoot a beam of ice to freeze enemies. They also come a with a missile that does damage but better used to shatter frozen enemies. The hero unit Bison is a strong, shielded vehicle that launches ice grenades (or bombs whatever) at all enemy unit types, doing good damage. The attacks help to freeze the enemy units as well. Once upgraded the Bison can create a field of chill aura once planted. By the way, chill auras and effects basically slows enemy units down and slowly freezes them meaning movement is harder and if they stay there too long they will be completely frozen and susceptible to being shattered. Bison has both interesting offense and defense. Serina’s leader powers are very interesting and what gets things rolling. ‘Ice Barrier’ allows you to drop in giant blocks of ice which blocks enemies but also have a chilling effect so slow down enemies and can freeze over time. ‘Cryogenic detonator’ is basically the cloaked mines which do damage but freezes or chills enemies. ‘Cryotech advances’ grants all Cryo troopers, turrets and power nodes chill auras. Kodiaks and siege turret rounds also chill enemy units. ‘Frostraven’ unlocks the Frostravens to be built at your base. ‘Seismic blast’ allows you to shatter frozen enemies in a selected area for huge damage. ‘Restoration drones’ which we all know and love for their healing goodness. ‘Cryobomb’ which just like in Halo Wars 1 drops a bomb to freeze enemy units. ‘Turret drop’ as usual drops a turret which fires on any enemy unit. ‘Glacial storm’ lets you drop in a huge cryogenic charge which creates a long lasting ice storm that chills enemy units over time. Now if you are quite strategic then you would have come up with some ideas and combinations right now concerning her leader powers. You could get a good amount of Cryo troopers equipped with Cryotech advances, call in a Glacial storm but trap the enemy army with ice barrier, land cryo bomb on any high priority units by this time most are weak or frozen so drop the seismic blast to ruin the entire army. There is quite a bit you can do. Serina is a very good addition to Halo Wars 2. She brings a whole new concept and shakes things up. When there is a Serina on the enemy team you know that you can’t keep your staying still for too long. You have to spread out a bit. What happens if Serina fights Kinsano? Ice vs fire. Interesting. Overall she is fun to use and with more practice, will figure out her true power. Halo Wars 2 is at it again. We must say though that the developers are doing an awesome job so far in bringing us new content, which is actually good and charging us at reasonable prices. Great Job 343 Industries and Creative Assembly. 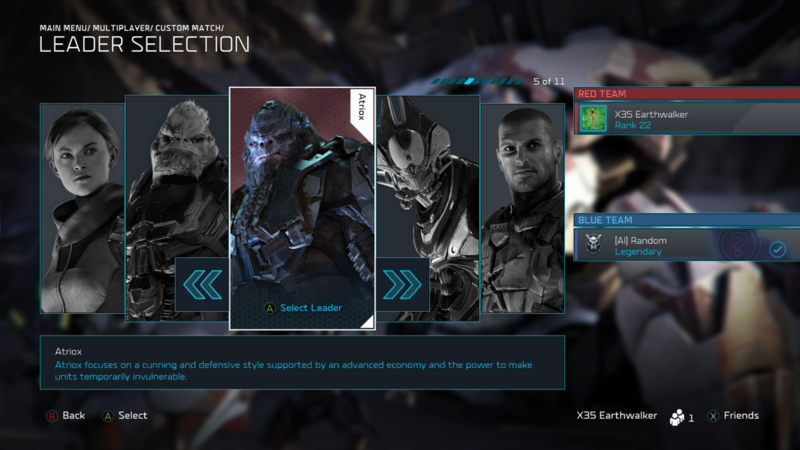 The newest character leaders are The Arbiter and Spartan Jerome. So many gamers where looking forward to these two leaders and boy do they deliver. 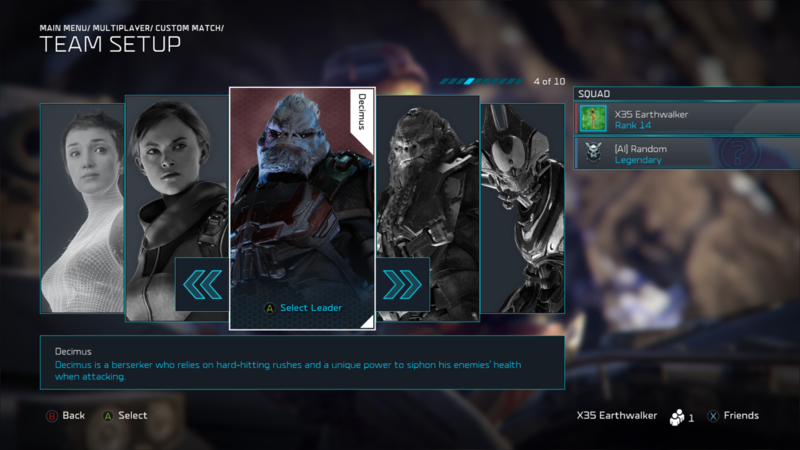 Both of these new Halo Wars 2 leader function very differently from all the others, which isn’t an easy to do while keeping everything balanced. The Arbiter is definitely more focused on his stasis leader powers. He has regular stasis and also mass stasis which is just stasis but on a larger scale. Basically if you use stasis on enemies their units can’t move or attack but cannot be harmed. So it buys you time. Time to escape or time to attack turrets first or destroy a base and they have no choice but to watch. If you use stasis on your own units then they can’t move or attack either but also become invincible. Use this to survive an eradication power from Atriox or keep your army alive until your team mates can show up etc. The Arbiter also has stasis mines which function like regular but also slow down units that trigger them. A mine is still a mine at the end of the day. What is most dangerous about his leader powers is Conduit of rage. This is because it causes any units or buildings near to heal and get a brief boost to damage and speed when near a leader power. So if you use plasma bolt to hit some enemies and your army is near the point of contact then they are instantly buffed. Rage of conduit can be upgraded to make the buff stronger and last longer. Combine this with Power surge and the match is pretty much as good as won. Power surge reduces the cost and cooldown time of all your leader abilities. So imagine upgrading that as well to reduce cooldown even more. You will be dropping mines so frequently, firing plasma bolts and buffing your troops more frequently for complete destruction. Arbiter requires planning and timing. You must be strategic. As a hero unit on the field he is really fast, probably the fastest unit in the game and does great melee damage. When he enters rage though he does more damage and once upgraded gains health from attacks and can even buff his allies while raging. Commander Jerome is heavily focused on inspiring units. Inspired units have increased damage, armour (defense) and speed. Jerome has to keep his soldiers inspired at all times. Jerome’s leader powers in some way centers around inspiration. Firstly ‘Time for heroes’ naturally gives all your units a buff in terms of speed, armour and damage as long as your unit count is 40 or below. This is useful for the early game. Enduring Salvo let’s you drop debris from the ship ‘Enduring conviction’ to damage anything it lands on but it also grants inspiration to any of your units that are near where you used the leader power. Victory turret functions like any other turret but this turret also inspires any nearby units. Victory mine is like other mines but when it explodes it inspires nearby units. Field promotion is very powerful. It lets you instantly turn units you selected to level 1 veterancy. This sounds simple but can really change the tide of a battle. The most favoured leader power of Jerome is ‘Omega Team’ which drops in three spartans: one carrying a plasma turret, one carrying a railgun and one carrying a beam sword. When used properly they are destructive. Jerome as a hero unit uses a hydra mini missile launcher and functions like any other spartan but comes with a aura circle around him which inspires units within. Jerome can call down his own mantis which fires lasers. Jerome can enter the mantis and grant it more fire power. Once upgraded the mantis can call in a laser strike as well. Lastly in Halo Wars 2, both leaders bring in a whole new type of unit to the game. The arbiter has the Phantom ships while Jerome has the Mastodon. What’s special about them? Both are tough units that have the ability to carry infantry units. For example, you can place a sniper and and some marines in the Mastodon and they can fire from the mastodon while being protected. This especially looks cool when you have hunters with the beam upgrade in a phantom because you see the hunters beams coming from the ship attacking enemies. Very cool indeed. We won’t give away our personal strategies but the rest is up to you. Halo Wars 2 is absolutely amazing. The graphics, sounds and whole gaming mechanics are top notch. Even the matches can be intense and take up some time. Halo Wars 2 is even more strategic than the prequel. More leader characters that brings more flavour and options to the matches. Even so, there are some big issues concerning balancing. Straight up we are going to say it. The Banished have a big advantage over UNSC and it’s big enough that it makes a difference in every match. Seriously. The biggest advantage is the fact that Banished bases get the chance to place shields in the turret sections. These shields are powerful and soak up all kinds of damage. Why is that so bad? Didn’t Halo Wars 1 have shields. Well yes but their shields occupied a slot for building like energy generators, and supply pads. So if you wanted to stack two shields then that’s two less slots for you. The shields in Halo Wars 2 are more powerful because if the shield was dropped due to too much damage but another shield gets built, instantly the shield goes up regardless of whether the base is taking damage or not. The if another shield is built in time then it’s a double layer straight away. Also any Banished (or allies of the banished) withing the shields are protected and take significantly less damage until the shield drops. The problem is that an UNSC army would spend a hard time fighting the enemy army and lose because the shields protect the enemy army but if through leader powers and other means beat the army then you still have the shields which lasts long but skilled banished players leave a slot at the back ready for when they get attacked just to build another shield for instant shield regeneration. It’s so unfair. Don’t listen to stupid who say it isn’t an issue when it clearly is. The next big Banished advantage are the Banshees. The banshees are practically the strongest units in the game. Surely X35 Earthwalker is exaggerating though. No we aren’t. We have seen a group of banshees beat wolverines and reavers of same group size. We aren’t joking. X35 Earthwalker himself has had his banshees beat anti-vehicle units many times even when there were more of them and vice versa he had his anti-air vehicles lose to banshees. How does that work? How do air units beat anti-air units? Sure air has a advantage over vehicles but anti-air is ANTI-AIR, full stop. Now in recent matches pretty much every Banished character user is always using banshees in great numbers. Either full population of banshees with engineers or half locusts (or something) mixed with them. It gets boring and predictable. It’s too strong. Banshees are suppose to be main air vehicles, in other words basic air units but their strength is much higher. Thanks to their own anti-air upgrade, they can take on two groups at the same time. The anti-air lets them attack nightingales and hornets while their fuel rod cannons and main plasma guns can fire at tanks, wolverines and whatever. That doesn’t sound fair at all. Lastly, many, almost all, banished players are copying and using the chopper rush and then get engineers as fast as possible. It just makes matches boring now and predictable. X35 Earthwalker himself likes discovering and trying new strategies to accomplish different things. Some work and some don’t. This is how he ended up discovering a big secret. Choppers are vehicles. They are stronger than jack rabbits. They counter marines very well. They counter hellbringers. The way to beat them is to rely on your marines and turrets but that strategy is defensive, meaning while you stay near your base, the banished players can grab power nodes, mini bases and control the map. If you go out there then your marines will get caught by the choppers who can also ram for maximised damage. If you get the grenade throw ability for your marines then you can destroy some but you would have spent so much energy that the banished players will reach tier 2 way before the UNSC do. It’s not fair either way you look at it. 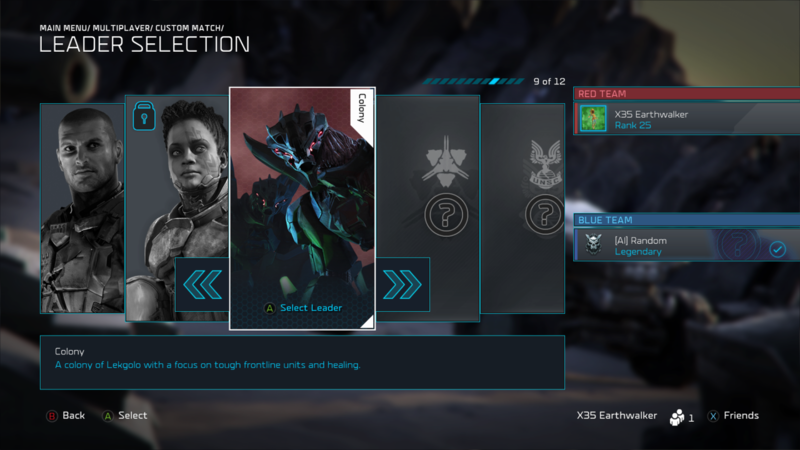 Colony is the newest leader in Halo Wars 2. First of all Colony looks cool. He is a hunter but a hunter in charge. His voice is like one of the coolest voices ever. He speaks simple short sentences but that voice just make us wish we could have it as the new default voice for announcements, answer machines etc. It’s so cool. Now as usual when a new character comes out everyone does nothing but just play that character. X35 Earthwalker yesterday did a livestream where he only uses Colony and in every match there was a Colony. Colony on Colony violence. Colony stands out greatly from other Banished leaders, not just from how he’s designed but from his units and leader powers. He actually brings some new units into the battlefield. Now when Kinsano came out, We never cared to get her at all. She seemed not that fun to use still seemed similar to the other leaders is many ways. Can’t really blame her since the UNSC are humans meaning they will be similar in units but Colony takes things to the next level. Colony seems to excel most at being at the front of the battle. Colony has the Goliath infantry units which are giant sized hunters that behave like gorillas. They are all about melee. Goliaths are strong against buildings, alright against infantry, weak against vehicles (for some reason) and can’t hurt air. I know they need to balance out the units in the game but how comes a big strong creature (twice the size of a hunter who are 12 feet tall) are weak against vehicles. Those things could smash them apart but whatever… balancing and all that. Goliaths are no joke. They are literally the best units against buildings. Just two of them do some serious damage against enemy bases. Goliaths also have the ability to ram which is great for dealing with annoying vehicles as it is fast and travels quite the distance. Colony also brings skitterers which are small little mech bots that scuttle along the ground and fire lasers. These mechs are easy to build and come with the ability we have been waiting for. They can attach themselves to another unit becoming invincible and attacking enemies that come near the attached unit. So you could attach skitterers to Goliaths meaning Goliaths can now defend themselves against air units. You could attach them to hunters so they can defend against air as well. It’s up to you gamers to figure out some crazy combinations. You can attach two skitterers to units by the way. Colony’s leader powers are very different cool. They really have the ability to mix things up. You immediately have access to living barrier and skitterers. We all know about skitterers but living barrier is something X35 Earthwalker underestimated at first but later saw how good it is. Living barrier let’s you drop down Lekgolo caltrops in a line that completely blocks infantry and vehicles. The enemy has to fight and destroy these barriers to get through. So while they are fighting the barrier you can target the enemy. It’s good for distractions, cutting of the enemy while fleeing, blocking movements, extra eyes around the map and more. It’s only for the strategic. Engineer swarms calls in many engineers to start healing any units or buildings in range. They stay for quite a while and can really help turn the tide of a battle. Upgrade this ability to make killing your army near impossible. Combat repair makes all your units and buildings slowly heal over time, even in battle. This encourages strikes and retreats, keeping your units alive and building their veterancy since they heal by themselves. Colony drop calls in two level 2 veterancy Goliaths meaning they hit harder and themselves are harder to kill. Vehicle symbiotes allows you to buff selected vehicles and buildings with increased range and armour. So good for turrets on defense and off course your vehicles like locusts. Hunters brand allows you to fire 3 glassing beams that quickly converges in the middle. It’s actually very strong and doesn’t take too long to recharge but when it’s level 2 or 3 it is devastating. Lastly Devastating host lets you drop in multiple different vehicles like wraiths, locusts etc but get a instant buff from a vehicle symbiotes. This is powerful indeed. As you can see Colony is something powerful. His leader unit, The hunter captain, is a very useful leader. It is a giant hunter, pretty much the same size as the goliath units. This hunter instead comes with shields and can actually fire his cannon at air units (wow). As he does damage he siphon some health back. He’s great against vehicles and infantry, alright against air and buildings. Once upgraded his cannon beam has area of effect so he can damage groups and does more damage overall. He can be upgraded to get the taunt ability which forces nearby enemy units to target the hunter captain instead. This is good since he can take lots of hits and siphon health meaning he won’t die easy. Combine him with Combat repair and Engineer swarm and he’ll never die. His main weakness is that he is so slow. Completely slow. The slowest thing ever and because of this he slows down the whole speed of your army so it takes you forever to cross the map and attack or help out an team mate. That’s the only negative thing. Halo Wars 2 is home to some big and powerful wars. Players meet on the battlefield and explosions take are happening everywhere. If you plan to get in a match you must come with strategies. Don’t just build anything and everything. Like we said before, pretty much one of the big things that makes all the difference in a match is the character leaders. Character leaders have leader powers. The leader powers can flip the match in your favour. Leader powers can also just seal your opponents fate in that match. X35 Earthwalker has played and defeated many with all the leaders. He has his favourite and least favourite leaders but knows how to use them all. He will share some of what he knows so take a look and enjoy. “Anders probably one of, if not, the most difficult to handle because her leader powers make things at times unfair. We won’t talk about the ‘Protector Sentinels’ as i’m sure we all know about them. Get some kodiaks and have them spread out a bit around the map on your side for defense. Combine this with ‘Sentinel beacon’ which means every shot from the kodiaks and siege turret produces aggressor sentinels which attack everything. This makes infantry useless against you. Literally a few kodiaks on guard duty with this leader power can be unfair. Drop ‘Sentinel Network’ right at their base to keep causing damage to everything they build and their base as well. It stays for a very long time making it pretty much the best harass tool. The ‘Retriever Sentinel’ is best used to throw your enemy of. Force your enemy to focus on countering your infantry and vehicle, then when they have many things that don’t do so well against air just drop your Retriever Sentinel in and let it have it’s way with the enemy troops. It’s too strong for them to start effectively counter. With Anders you can make your enemies afraid to do certain things. Halo wars 2 has received a big update that contains many changes and some new content. This big update is so big that it’s worth checking out. We mean it. Every Halo wars 2 gamer needs to check it out before playing anymore matches. First of all the fact that this update is here shows that the developers ‘343 industries’ and ‘Creative assembly’ do listen to their fans and gamers who play their game. That’s a good sign. There is lots to say so lets just jump right in. Leader powers have been effected. Now Shipmaster’s Scout mines can no longer be dropped on buildings to do big damage. This is fair as it can be used to destroy buildings straight out. The Banished Cleansing Beam speed has been slightly reduced to make escaping it easier. We agree with the speed being reduced and so don’t have a problem with it. ODSTs cost increased from 600 to 800 and their HP has been slightly decreased. This is fine. Nothing too big here. Concerning Economy they have adjusted the Supply income curve to give less of a bonus income on the first few Supply Pads/Warehouses, but less limiting as player’s build additional pads. So now players who have multiple bases have a bigger advantage over those with one base. Now concerning Sergeant Forge they have removed the discount on Supply Pads and Reactors in the “Rolling Economy” leader power. Thank goodness. We are so glad. Rolling economy made Forge the strongest leader in the game. We are so glad it’s gone. Also Accelerated Assembly has switched places with Lotus Mines. We also think that’s fair. Stronger abilities should be available later, not early. We disagree with this. Hell bringers have enough health already. We do agree with damage against infantry and movement speed but everything else not so much. Suicide grunts if anything should be boosted in every sense after all their job is to run at the army and make things go boom. We have never seen anyone use them in a standard match but will this update to them be enough to convince players? Finally! The Elite Rangers were absolutely useless. They lost to marines, Hellbringers… They lost to everything and did very little damage but now they should actually be worth using. We don’t agree with this change. I mean have you not seen the hunters in every other Halo game? They blow everything up in one shot. They should be strong anti vehicles but let’s see how this turns out. We are saying this for both the wraith and scorpion tanks. This is one of the best changes. The tanks need to be powerful. We felt that wraiths before got destroyed more easily and didn’t stand out much. This should now encourage players to use them a bit more. What a big update indeed. Well if the regular scorpion gets stronger then it makes sense to boost the Grizzly as well. This is a good change. Grunts were laughable even when upgraded but now it looks like they should be quite equal to marines as it should be. Grunts or marines shouldn’t be clearly stronger than the other. We know that almost everyone has been waiting for this. It’s pretty much everything we at X35 Earthwalker asked for. Now they don’t melt bases within seconds and aren’t as fast meaning your armies can actually catch them to fight them. Finally! We never cared but do agree with this. The plasma torpedo should be an assist to fight air not count as a proper anti-air unit level of damage. So yeah, good job with this one. We agree with the weapon range and damage reduction. Locusts annoyed us. They should be for destroying buildings and that’s their main purpose only. We also agree with this. Turrets should be able to hold their ground against enemies that come but not against armies. When you fall back to your base, you should feel safe to some extent knowing that you can make a stand there. The big update also brought some new content as well. Basically ranked matches. We agree that their should be ranked for those who want to do that. Honestly they should have had this before but whatever, we aren’t in their studios knowing what’s going on. 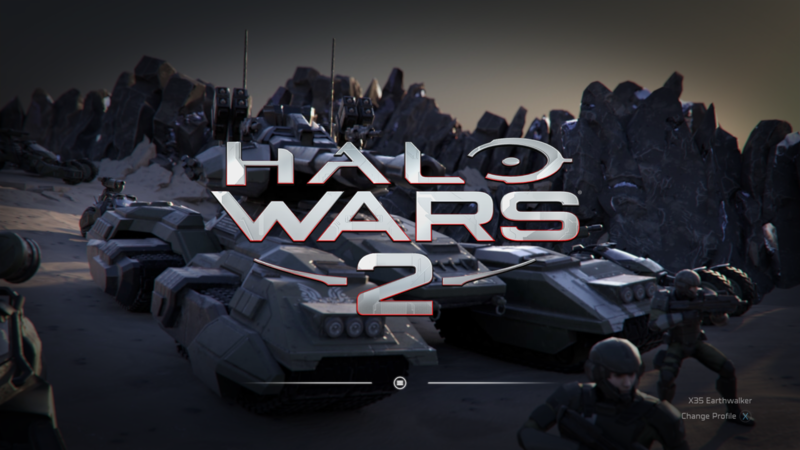 Halo wars 2. The power of leader characters. Halo wars 2 is one awesome game with lots of action and things to do. Gamers love having options so thing this game has a lot of it. If you don’t know about Halo wars 2 yet, then once again, shame on you. Go check it out. There are even none RTS (real time strategy) gamers playing the game and liking it. Pretty much one of the main things about any multiplayer match are the leader characters. What leader character you and your opponent or opponents have makes a big difference from strategies, units to abilities. There are some leader characters that are currently considered a bigger threat than others. Leader characters are leaders based on main characters from the game, who are the head of your army. They are like the face of the army. 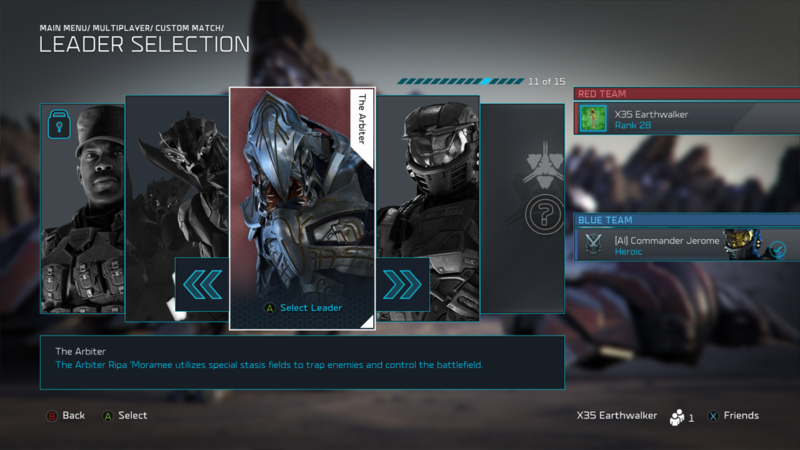 There are currently 3 UNSC and 3 Banished leader characters. They are: Captain Cutter, Professor Anders, Isabel, Atriox, Ship master and Decimus. All three are powerful once used correctly. X35 Earthwalker himself will also be giving his words on this topic. Captain Cutter: His leader powers are mainly orbital based and infantry seems to be his strong point. Captain Cutter has strong offensive and defensive capabilities. One of his significant abilities is ‘Battle hardened’ which is quite difficult to make effective as it should change how you handle combat. With this your aim is to keep your units alive so that the increased veterancy rate can take effort. While fighting, the unit that’s low on health you must call to the back of the army, don’t leave them there to die. This combined with ‘unsc raid’ which increases your infantry movement speed allows for easy hit and run tactics, meaning it’s also easier to keep units alive to gain veterancy. ‘Archer missiles’ and ‘close air support’ are high damaging powers that must be timed properly. Many times do people launch this as a game changer but the enemy just simply leaves the area. Be strategic with them. Maybe save it for finishing of a base as bases don’t move. You could also use them to force an enemy to get away from you, buying you some time or saving certain units alive. We will say that nothing compares to his powers that drop in units. It’s a great way of calling in reinforcements, flanking the enemy and replacing destroyed units with stronger ones. If you unlock all three drop powers and you wait for your army to get reduced a bit and then drop in odsts, a veteran cyclops, a tank, wolverine and more with high levels. This has made some enemies panic before. It’s just that good. Cutter is best to use with infantry but always be ready to mix it up when the situation calls for it. Atriox: His leader powers are definitely more mystical. Atriox is definitely more defensive with his leader powers. His most significant ability is ‘unbreakable’ which makes all your units invincible for a period of time. This power once used correctly can easily turn the tide of a battle. We like to use it as a counter to enemies active leader powers like archer missiles if our army is grouped up. There have been times when one enemy used a glassing beam while the other used a scatter bomb and X35 Earthwalker’s units just stood in the middle of it all because they were invincible and still kept destroying the base. You do feel like a boss with that power. ‘Atriox’s bulwark’ is basically a superior ‘restoration drones’ as it not only heals your units but also grants invulnerability. Again it must be used with perfect timing like taking on another army or to survive a powerful active leader ability. This isn’t to be ignored. 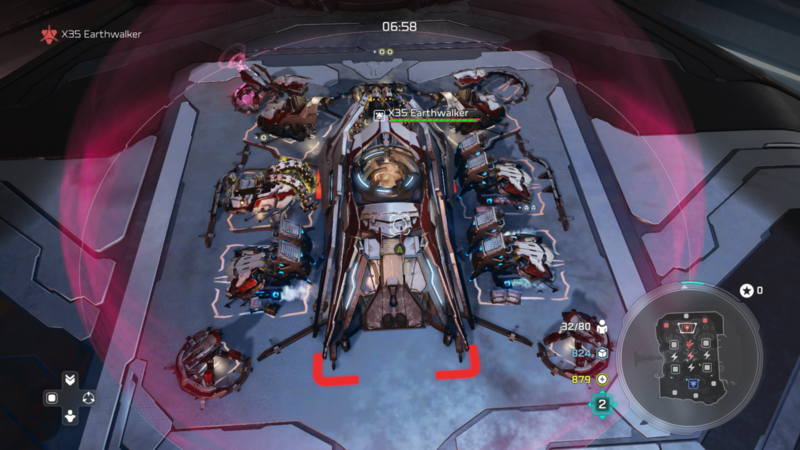 You can’t beat what’s invincible so keep your units in the circle or move your wounded there. ‘Dying breath’ gets ignored by some but this allows you to make some units still able to fight as normal even after losing all health for a period of time. Think about it. If you had 4 grunt squads you could still keep dishing out four grunt squads worth of damage which can give you the edge in a fight. You could even use the dead unit to hold of the enemy units while yours can get away alive. Atriox’s fortification power is essential, providing discounts on building and upgrading buildings and turrets. This will save you money, to some extent, especially near the start of a match. Isabel: Her leader powers are very technology based. Initially we never liked her due to her powers have less use but after we dug into her a bit more we saw the use of her powers and what kind of bang they can produce. For example ‘Holographic decoy’ is actually so good. X35 Earthwalker has used these to scout enemy bases and activities and since they are decoys, you lose no units. He also use them to attract all turret fire first and then have his real units move in. It’s straight tactical here! It never hurts to have a ‘MAC Blast’ around. MAC Blasts should only be used to take out a specific enemy unit that is causing trouble, like a shroud or group of wolverines. Halo wars 2 is very strategic and so you must make strategic moves only (duh!). ‘Accelerated assembly’ is a must have for vehicle lovers. There isn’t a reason why you shouldn’t have it. It reduces build cost and time for your vehicles. This power should be combined with ‘The best offense’ which grants your scorpion tanks shields and improved canister shells. We have never lost a match with these two powers combined. After all, tanks with shields sounds scary. In the later stages of a match you must have combat salvage on standby. Throw all your vehicles at the enemy and wait for when they are near death, then activate your power to bring 8 of them back at your base when they die. Timing is key with this ability. ‘Ghost in the machine’ is only to use for extreme conditions. It allows you to take control of any enemy mechanical units you target. Send your decoys to charge an enemy army then use Ghost in the machine to take over at least half of all their machines (don’t take everything), this way you can make their army fight each other to reduce their numbers and if you have time send the last remaining straight at their base then follow with your own units. Isabel is only for the strategic. Decimus: His powers are all about buffing his army. Straight of the bat you have access to ‘Killing frenzy’ which grants your units a damage boost when they kill. Straight away this is an advantage over your opponents. Combine this power with ‘Siphon’ which allows your units to gain health in proportion to damage to have dealth, which make things really nasty. A few grunts and other units with siphon and killing frenzy makes them too hard to kill if played right. They can just stand there healing themselves and killing. This can even allow early attacks. ‘Boundless Siphon’ is a must as it grants permanent small siphon to all your units, don’t need to say more here. Then get ‘Boundless rage’ which increases your units speed and damage permanently as well. Now let’s do some maths: Killing frenzy + siphon + boundless siphon + boundless fury = unstoppable army. Bring that to school with you. The last major power that we think you should invest in is the ‘Decimus drop’ which calls in Decimus who has a lot of health, can draw in enemies and give them the best slap ever. Decimus is that simple. Scary aggressive army which allows rushes and quick attacks. Professor Anders: Her powers are all forunner technology. This lady is all about the sentinels. ‘R & D’ which Reduces costs and build times for global infantry, vehicle, and aircraft upgrades. The best thing is that the turrets gain shields. which is a real boost to defense. It’s up to you how much points you invest in R & D. Get the ‘Protector sentinel’ as soon as possible so that you can start building them. These things are fast and melt structures. They should not be used for combat just yet. So run away (ya wuss). We never bother with ‘ark defense’ as it isn’t all that powerful and easy to avoid but once combined with other powers have it’s uses. ‘Sentinel beacon’ on the other hand is very good. Have some siege turrets at the back of your base and it will make defending so much easier as every shot releases aggressor sentinels which take no scope shots at enemy units. ‘Sentinel synergy’ makes your protector sentinels combat worthy as they now have more health and damage plus a bonus of shields. It also adds more aggressor sentinels to ark defense and sentinel beacon. The retriever sentinel power lets you summon a retriever sentinel. This unit gets treated like the other ultimate units which is a mistake. The retriever sentinel is much weaker than the scarab and condor. It can’t stand up to them nor can you send the retriever into an army and think it will win. Use it as a big support only. Anders is all about the sentinels but everyone knows this so don’t be predictable as some will see you as Anders and go straight for anti air so please mix it up. Shipmaster: His powers are teleporters mainly. Shipmaster is X35 Earthwalkers favourite leader. At first look, shipmaster seems like he has the weakest powers. His powers directly are weak. They are heavy strategic. ‘Teleport’ has many uses from quick travel even to dodging enemy leader powers like close air support and eradication. ‘Extraction which allows you to instant transmission your slected units back to base and heals them is essential as you can attack the enemy and then when taking too much damage come straight back to base, healed and ready for another attack. We don’t bother with ‘Glassing beam’ anymore as their are other powers that are more handy than direct damage. Advanced cloaking should only be used if you will have lots of marauders and a shroud or two as it grants marauders the cloak ability and shrouds special ability gets improved. This means a cloaked army and marauders can be used for scouting. ‘Displacement’ allows you to move enemy units to another location. Many use this wrongly, they just send parts of an army away while they are getting attacked. This is bad the army will just come straight back. Timing and situation is so important. X35 Earthwalker once used it to send all the engineers who were healing a scarab far away making the scarab easy to kill. Mass cloaking is powerful as your whole army gets cloaked. It’s powerful but easy to counter as all the enemy needs is one detect unit, so knowing what your enemy has is essential before using. Tactical gateway is maybe the scariest power as you can use it to transport entire armies all the way across a map, even behind the enemy base. Beware as your enemies can use the portal too. Almost all of shipmasters abilities can be used for different strategies. That’s why scouting is important with him. Most likely the hardest leader to use. Sergeant Forge: His powers are vehicle based. He was the strongest leader by far because of one power, ‘Rolling economy’. This reduces costs and build times for Supply Pads, Generators, and their upgrades. The worst part is that you can access this from the start making a normal supply pad which costs 150 instead cost 100. This doesn’t sound bad but when you build 3 supply pads you save 150 supplies which is enough to buy another supply pad or 1 marine squad. So basically Forge players can build faster and have more resources than anyone else. In a RTS game, speed is everything. X35 Earthwalker tested this. If you could get to citadel base and 10 marines in 5 mins then with Forge he had way more marines in a faster time which is too big of an advantage. We are glad that it’s getting fixed. Grizzly Battalion is not needed as you can just build the grizzlies yourself. Only get when you have no other good powers left to unlock. Other from that he almost functions like Isabel. If you are going vehicles the accelerated assembly is a most. Scatter bomb isn’t that great at all either. It’s so easy to dodge. We end up escaping with all out units alive most of the time. We wonder how Forge will be affected after the patch on his rolling economy power. All the leaders are fun to use but we definitely believe that some are better than others. If you take away Forges rolling economy then he is the weakest. If you counter Anders sentinels then she becomes quite useless as well. Cutter, shipmaster and atriox is harder to counter as they are more diverse in their powers but less obvious on how to use them. Some are more support based than solo fighters. Overall we have had victories with all of them and they are quite diverse from each other. Interested to see what the new character leader will be like. Try them out… also remember to try the ‘Earth Walk’! Warzone in halo 5 Guardians is great fun. It’s also big and very chaotic at times. Warzone isn’t like other games. Normally in games like gears of war, your threats are right in front of you. In Warzone your threats are from a mile away, right up in your face, from below and from above. You could be sprinting across the map just to run into a shotgun wielding spartan. You could be sneaking around the edge of the map and then all of a sudden you have a giant hole in your head thanks to a sniper. You may be on a killing spree and having a great time until a random banshee out of nowhere bombs you from above. It’s not fair at times but hey, that’s Warzone. Now many have talked about some req weapons as rubbish or useless and we at X35 Earthwalker don’t think so at all. Off course there are some req weapons that even we don’t use but we will talk about some of them. Off course there are some reqs that we truly believe aren’t worth using like a regular boltok and supressor. Their higher tier versions are much better and have low level requirements to unlock so there is literally no reason to use it. That’s a blog for another time though. Over time we will be uploading more clips of game play by X35 Earthwalker and friends on this website overtime so feel free to check them out to see some action. Pretty much every req has some sort of use and never just write something off because others are saying something about it. Be the one who makes it work. That’s what we do but whatever you do… make sure it’s at least the ‘Earth Walk’!